The instance of Paul Brunton (1898-1981) versus Meher Baba (1894-1969) is relevant for the investigator of Indian religion. The issue is well known, in both India and the West, and yet relatively few people are familiar with the more intricate details. Brunton is still often regarded as being correct in his negative presentation of Meher Baba. This is because his books became very popular in the West, far more so than the books by and about Meher Baba. In particular, Brunton's first book A Search in Secret India (1934) was a bestseller at an early date, and achieved numerous reprints. The rather alluring title has aroused criticism, while some contents have been strongly questioned, and revealed to comprise a deception. Secret India is believed to recount "an adventure in self-metamorphosis," to employ a much-read phrase of the endorsing British publisher (Rider). Readers are further told that the author "emerges with spiritual certainty without having to sacrifice his rationalism." Probing a little deeper, one finds that Brunton's celebrated "search" comprised a travel schedule that lasted only a few months. The actual tour only lasted two months. Did he really change that much? Brunton's undated travelogue is symptomatic of a commercial convenience. It has been dated with the assistance of relevant sources that he omitted. The neglect of dates conveniently concealed the brevity of his expedition. Secret India here becomes a feat that would today be considered a tourist holiday. Many tourists have stayed in India for somewhat longer than did Paul Brunton. The author of Secret India makes some references in the idiom of "the intellectual scepticism to which I cling" (Secret India, p. 185). The fact is that Brunton was not basically a sceptical type; he is known to have entertained strong occultist beliefs and tendencies from his early years. These factors were later revealed by his own admission, and also by supporting sources. 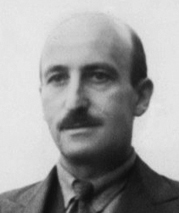 Born in London as Hermann Raphael Hirsch (later Hurst), Brunton early became an enthusiast of Spiritualism and also joined the Theosophical Society for two years. He was part of a bohemian group in London with similar interests; they found ample diversion in the numerous small "esoteric" societies existing in the 1920s (and including Yoga). One of Brunton's close friends became proprietor of the Atlantis bookshop, which specialised in occultism (Castro, Brunton's Early Life). In one of his articles, Brunton says that he early developed powers of mediumship, especially clairvoyance and clairaudience. Later, he met Michael Houghton (pseudonym Juste), who wrote a book called The White Brother: An Occult Autobiography (1927), which describes the "Theosophy and Bohemianism" of which he and Brunton were part. "Juste writes that all of these students were unbalanced and neurotic, although they called their behaviour merely unconventional and bohemian" (Friesen, Paul Brunton). One of the characters described ("David") was Brunton, who "always appeared to move in a perpetual haze." However, he did get involved with a woman (Brunton married at the age of 24, and divorced several years later). Juste was critical of the fact that most of his comrades entertained the desire to visit India and Tibet, and there attain nirvana via meditation. Paul Brunton was convinced that he possessed occult powers. He later claimed to have countered a black magician by attending the latter's lecture; through a feat of concentration, he purportedly extinguished every light in the lecture hall (Hurst 1989, p. 47). Brunton appears to have been strongly influenced by reading an occult novel (Zanoni, of Rosicrucian association) when he was still at school. His mentality was saturated with such interests and fantasies. (1) Brunton wrote numerous articles for the Occult Review. His son Kenneth was born in 1923; the pater was for long after telling the junior about occult powers like astral travel (Hurst 1989). Brunton claimed to have participated in astral travels. In 1929 he "self-published a magazine aimed at ambitious young men interested in achieving success in the business world" (Castro, Early Life). This detail indicates something of what is signified by Brunton's identity as a "freelance journalist." His business project failed; the stock market crashed at this period. The following year, he travelled to India, having become an admirer of Meher Baba. Secret India reveals an underlying fascination with "powers," and is the tip of the iceberg in that respect. Even in much later years, Brunton attempted to demonstrate his occult abilities by causing a heavy oak table to rise up in the air. This was supposedly a demonstration that "spirits" were present to assist him. He told everyone to keep their eyes shut and began to chant mysteriously. One person present (Jeffrey Masson) opened his eyes and saw that Brunton had his hands placed underneath the tabletop and was pushing upwards, causing a slight movement of the table, while claiming the intervention of invisible "spirits" (Masson 1993, pp. 164-5). Brunton's interest in "powers" converges with the siddhis described in Patanjali Yoga, which became fashionable in his time. The confusions in the West arising from Yoga were unending. The extremist British occultist Aleister Crowley believed himself to be an adept of Yoga, and credited himself with achieving a high state of "trance" (dhyana), supposedly denoting a mystical unity. The original texts of Yoga refer to distractions. The Yoga Sutra lists a number of siddhis, and then "suddenly states that these abilities are obstacles to samadhi." A further list of siddhis is given, followed by "the observation that these powers have to be relinquished for the seed of ignorance to be destroyed" (Shepherd 1995, p. 703). Brunton was one of the enthusiasts partial to distractions. In a 1932 article in the Occult Review, he referred to "the occult path, the way of yoga" (Friesen, Brunton and Ramana Pt 1), revealing the nature of his perspective. The deceptive scenario of Secret India is that of an interested Western sceptic moving amongst the Indian holy men. Various yogis and other entities appear in that book, including "the spiritual head of South India," meaning the Vedantic Shankaracharya (pp. 121ff), believed to be in the direct line of succession from the Advaita exponent Shankara, who is wrapped in legend. Brunton also encountered the "Master Mahasaya," alias Mahendra Nath Gupta, the aged Bengali disciple of Ramakrishna (d. 1886). A Muslim cameo is that of Hazrat Babajan (d. 1931), the female faqir of Poona who receives a favourable assessment, but at the same time, a rather misleading treatment (Shepherd 2014, pp. 91ff). More attention is given to Meher Baba and Ramana Maharshi. Yet the tactic of Brunton opted for a denigration of the former and an elevation of the latter. That is certainly how many readers and commentators have interpreted the influential book under discussion. I have met people who assume that there can be nothing of value in Meher Baba, giving the reason that Paul Brunton discovered him to be a fraud. Such people believe in the authoritative relevance of Secret India, which has been sold for many years with the contested description of the author as Dr. Paul Brunton. The author of that book was not an academic but a "freelance journalist," a far more obscure vocation. Brunton was an occultist who believed in the Astral University; he claimed to have visited the intangible institution during his astral travels, guided by an American adept who lived in London. "We spent a lot of our time together at the Astral University, where I studied philosophy" (Masson 1993, p 86). "I really don't have more to say than is in my book. I grew up with P.B. and I give my version of events.... The degree, I understand, is not a true Ph.D, but something given by a correspondence course, much like those offered daily on the net. P.B. told me he had had a Ph.D from Roosevelt University in Chicago. I checked with them, and they had not given one" (see Castro, In Search of Brunton's Secret Part One, note 7). Brunton had resorted to a newly-formed avenue of granting distinction, something quite apart from the traditional university syllabus. Roosevelt College commenced in 1945, and in 1959 was renamed Roosevelt University. Brunton partisans say this was the reason why Masson was unable to trace any record. The overall situation is rather unsatisfactory. A big drawback existed. So many readers imagined that "Dr. Brunton" had gained qualification in an accredited University like Harvard or Oxford. In his book, Masson comments: "I knew enough now about universities to realise that P.B. could not possibly have been awarded a Ph.D for any of his books. The fact that nowhere in his writings did he ever mention having studied at a university made me suspicious" (Masson 1993, pp. 160-1). He confronted Brunton head on. Brunton responded "I have a weighty academic honour," namely a Ph.D from Roosevelt University. Brunton also stated on that occasion: "I was awarded the degree partly on a philosophical thesis submitted that was judged as showing a capacity for original research and as making a contribution toward existing knowledge and partly in recognition of distinguished service to the cause of Oriental research" (ibid., p. 161). Brunton also said that his thesis involved Sanskrit (ibid., p. 162), although Masson discovered that the claimant had no effective knowledge of this language. In his two chapters on Meher Baba in Secret India, the British occultist presents himself as a rationalist visitor who is unimpressed by what he finds. "I meet a Messiah" is one chapter title, and strongly suggestive of dismissal. The meeting occurred at Meherabad ashram, a site near Ahmednagar, in the region known as Maharashtra. A grossly deficient context is supplied for that encounter. l to r: Charles B. Purdom, sketch by M. Somer, in the former's Life over Again (1951); Paul Brunton, circa 1930. 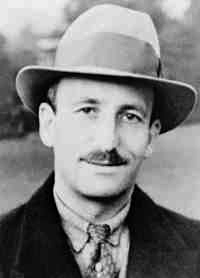 In my early years, I met a distinctive British partisan of Meher Baba who had encountered Brunton. Charles Purdom (1883-1965) was a literary man of some renown, and with additional ability as a pioneer in the garden city movement. He was not an occultist, and made no mystical claims whatever. In his biography of Meher Baba, Purdom wrote that Brunton "then known as Raphael Hirsch, came to see me in London some time after his visit" to the ashrams of Meher Baba. On that occasion in London, Brunton "said he had no doubt [Meher] Baba was false, as he, Raphael Hirsch, had asked him to perform a miracle but Baba could not" (Purdom 1964, p. 128). Purdom was very critical of Brunton. The purport of his warning in that direction was: "Do not trust the version of events in the misleading book by Brunton; there is too much that is missing, and what remains is distorted." After Purdom's death, I discovered various details about Brunton's background. This data surfaced in the early literature about Meher Baba. There was also reporting at a much later date from Louis Agostini, an American secretary of Brunton who became disillusioned by his employer. The varied facts and implications appeared in my book Meher Baba, an Iranian Liberal (1988). That book was non-sectarian, and met with a mixed reception. It was for long ignored by the Meher Baba movement in America, (2) which can be hostile to outsiders and therefore necessitating complaint for redressal (I refuse to be intimidated by the suppressive tactic of some aggressive and dogmatic American devotees). 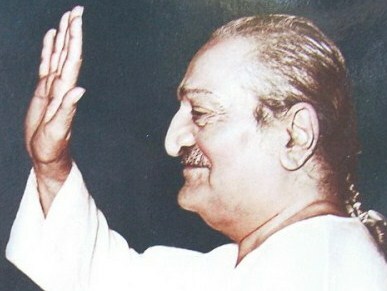 Brunton spoke enthusiastically of his personal telepathic experiences concerning Meher Baba, and in a public address at the Saidapet ashram in Madras. The date was here December 7th, 1930, two weeks after the event at Meherabad subsequently presented with acute omissions in the chapter called "I meet a Messiah." Furthermore, Brunton asserted on the same public occasion in Madras that Meher Baba "was immersed in the highest state of God-consciousness every moment, and that he functioned in all the invisible worlds" (Shepherd 1988, p. 150). An acute anomaly is evident. In Secret India, Brunton appears as the rational sceptic who disbelieves statements of the "Messiah." The turnabout is acute. Such reversals of viewpoint and allegiance are known to analysts of "cult" and religious orientation. For instance, it has become evident that there are at least two basic categories of disaffected follower in the case of charismatic/religious leaders. One category turns away from the inspirer when serious defects are perceived in actions and assertions of the leader and/or his followers. Another category is that of subscribers who find their personal expectations are not gratified, however justified the leader may be in declining the role of fulfilling anticipations. Paul Brunton belongs to the second category rather than to the first. 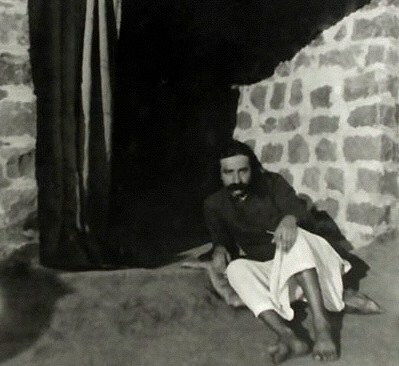 Meher Baba at the Panchvati Cave, Meherabad Hill, November 1930. The author of Secret India avoids the context of his brief visit to Meherabad in November 1930. Meher Baba was living in seclusion at that site, and asked Brunton not to visit when the latter requested a meeting. There was no accommodation for visitors; Meher Baba was not desiring to see any visitors at that time. Brunton ignored this reservation, and pressed to come. As a consequence, he was accommodated in a very simple building on Meherabad Hill, not far away from the cave-like seclusion dwelling of his host (known as Panchvati Cave, dug into the hillside). The conditions contrasted with the tendency to relative comfort at other ashrams. The demanding environment was not to Brunton's liking. The amenities on Meherabad Hill were so basic that Brunton needed a personal attendant even to supply him with water. The visitor was not one of the more intrepid British explorers who surmounted every difficulty they found. Brunton was very much a comfort-accustomed urban dweller in a strange land. His assistant was an Indian devotee who knew no English, except for a rather erratic use of the words "yes" and "no." Sidhu could easily get confused in his responses to a foreigner; he sometimes answered "no" when Brunton made a request in the difficult language of the colonials. The British guest could easily take offence. Sidhu probably thought that the weak visitor was a pampered sahib (sir) of the type who had many servants and never did any work. At that period, the British were considered extremely lazy by Indians. Brunton reacted to the Meherabad environment (which included snakes). His behaviour was remembered amongst the mandali, the resident devotees of Meher Baba. According to them, Brunton resented what he considered to be a demeaning sojourn, especially when he gained more preferential treatment at other ashrams. He apparently expected something like a pilgrim hotel. Moreover, Brunton thought that Sidhu was arrogant in his limited responses, not appreciating the situation of non-English speakers. (5) Above all, one gains the impression that Brunton anticipated celebrity treatment suited to his great talent as a telepathic genius and important disciple. The visitor apparently could not understand why Meher Baba was in seclusion, thinking that the Panchvati cave was too primitive a dwelling. Brunton did receive some personal attention when he visited that cave, but we cannot be certain what was said, despite his subsequent version of the conversation. Brunton does not even mention that another Westerner was with him. (6) He gives no indication of having understood the inter-religious context of Meher Baba's teaching, which he reduces to a "messiah" overture. Brunton makes no mention of the Muslim component of the Irani's following, and clearly had no familiarity with Zoroastrianism. Meher Baba did not operate within the confines of Hinduism. 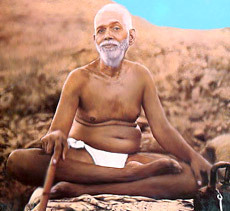 The Western occultist afterwards preferred the example of Ramana Maharshi (1879-1950), a Vedantist who would regularly give audience to visitors at his Arunachala ashram (although Ramana was not always very talkative). In contrast, Meher Baba was silent, quite literally, and communicated via an English alphabet board; he was not concerned to accommodate admirers, and generally did the exact opposite. His ashram was not open to darshan visitors, unlike most other ashrams. Secret India depicts Meher Baba as desiring the reluctant visitor to become his emissary in the West, and all the while making grandiose statements indicating spiritual status. Brunton gives the impression that his own scepticism resisted the prospect of being a representative. The narrative is not convincing. We know for certain that when Brunton subsequently stayed in Madras, he was welcomed by the Saidapet ashram as "the founder of the Meher League in England" (Shepherd 1988, p. 150), a statement revealing the extent of Brunton's commitment. The League had been created by the Saidapet ashram, not by Meher Baba, and was dedicated to concepts of a universal brotherhood. The members of Meher League were devotees of Meher Baba. The indication is that Brunton was regarded at Meherabad as a tedious and unwanted addition to the landscape. That ashram was largely deserted; about fifteen or more Indian men lived there, most of them working very hard in a manual capacity. In contrast, the white sahib was a very small man of delicate physique, and not at all the manual type. The guest was preoccupied with a fantasy agenda of meditation, Yoga, miracles, occult secrets, and telepathy. Meher Baba never taught Yoga, and was not a "meditation master." A Zoroastrian by birth, he was not any part of Hinduism, and did not publicly declare himself to be an avatar until the 1950s. Many commentators have failed to provide sufficient background. Any assumption that Brunton gave an accurate portrayal of events is shattered by realistic documentation of the Saidapet ashram. Further, his very misleading description of Meher Baba's facial appearance is sufficient to cast strong doubts upon Brunton's intentions (and also his optical function). He refers to his host as having a low and receding forehead, and implies that this (imaginative) detail could indicate limited powers of thought. This stigmatising form of commentary may well reflect the notorious colonial bias at that period, the British Raj nurturing a "superior race" complex. The alternative is to conclude that Brunton invented the erroneous description in an excess of pique. The British occultist is known to have been proud of his own forehead, believing the shape of this to be a sign of spiritual advancement. The Irani was considered to have an inferior standing, even though he possessed a well formed cranium, which some analysts say was superior to that of Brunton. There are other aspects of Brunton's commentary which are less than admirable. "I track him down to his Indian abode where he is almost unknown to more than local fame" (Secret India, p. 46). This is the sort of domineering statement to be expected from a colonial tracker of the Churchill era. Meher Baba was in fact known as far distant as Madras, Bombay, Karachi, and Yazd, a list that is by no means exhaustive. However, the main point needing to be made here is the serious loss of context for the disdainful visitor's presence at Meherabad. Disembarking at Bombay in November 1930, Brunton was received at the dockside by Adi K. Irani, who assisted him to book in at the Hotel Majestic, a venue of tourist comfort. Brunton had been urging his need to stay at Meherabad, despite reluctance of the host. Adi K. Irani was one of the mandali, and considerately delegated by Meher Baba to look after the insistent visitor. Brunton was afterwards escorted from Bombay by two devotees (Adi and Jal Irani). Rather than state the details of this assistance, Brunton instead supplies the distraction of his encounter at Bombay with an Egyptian magician, who was staying at the same hotel, and whose room the journalist visited more than once. The magician charged high fees for resort to his occult powers by wealthy Parsis and Hindus. Brunton writes with evident relish: "I shall 'get his story,' as my fellow scribes of the Press might say" (Secret India, p. 36). There are too many stories in the Rider opus. It is obvious that Brunton had an interest in magic (contracted during his bohemian London period of the 1920s). He recounts an apparent feat of the magician, and adds: "As I ponder over the matter, I feel the presence of uncanny forces..... my heart almost stands still with a sense of eeriness" (Secret India, p. 39). The journalistic strategy of Paul Brunton was calculatingly commercial in numerous features of Secret India. The diction is not scholarly, and the asides can be offputting. To expect due coverage of intrinsic matters would be optimistic. The 1930s audience had no means of checking Brunton's version, so scrupulously lacking in dates and due context. The visitor arrived at Meherabad on November 22nd. He writes dismissively of his accommodation, in terms of "a bare gloomy interior, but contains an old bedstead without bedding, a ramshackle table and a chair which might have rendered good service during the Indian Mutiny. Here I am to make my home for nearly a week. I peer through the glassless window and am rewarded by a view of sparse, untilled fields stretching away into scrub bush dotted with cactus" (Secret India, p. 48). Such a contrast to the Hotel Majestic, which his host had secured for him. Only the best for the British, who had been sapping India's economy for generations. So many houses in India were poorly furnished. As for the Indian Mutiny, the local Marathas could still remember the massacre at Jhansi, where the British soldiers had capped their bloodthirsty performance by a vigorous activity of plunder, taking all the gold and silver they could find. The ungrateful guest at Meherabad was detoured elsewhere after three days. He was apparently a tiresome nuisance, continually trying to impinge upon the host by asking irrelevant questions. "I have had several fugitive talks of a chatty nature with Meher Baba, but I want to hear something more definite" (Secret India, p. 59). Brunton masks the real nature of events by stating: "I come as a circumspect inquirer" (ibid., p. 53). In reality, he had been writing partisan items such as The West Needs Meher Baba, published a few months earlier under his early name of Raphael Hurst. Another source informs that when Brunton arrived at Meherabad, he told Meher Baba that he wanted to write a book about him. The host was not keen on this prospect, and commented that the time was not appropriate for such an endeavour (Charles Purdom later wrote the first biography by a Westerner, published in 1937). Brunton was frustrated by this response. The host also reputedly told the mandali that they should not speak to Brunton (Agostini 1985). One interpretation for this recourse is that the journalist was the source of misleading concepts. The choice of Sidhu as a servant for the visitor has also been viewed in terms of a language quarantine. Nevertheless, Brunton did talk with some of the mandali on the second day of his stay at Meherabad. To them he credited his "rapid outline" of Meher Baba's career, an account riddled with errors and distortions (Secret India, pp. 54ff). For instance, Brunton says that his host called himself Sadguru Meher Baba, which in fact was an address used by Hindu devotees; the Irani mystic was generally known by the simple and respectful title of Shri. Brunton attributes parental confusion over some earlier events to the father of Meher Baba; in reality, it was his mother who did not understand the changes in him created by Hazrat Babajan. Brunton even attributes the same error to Meher Baba's direct speech. "My father did not understand; he thought I was going mad" (Secret India, page 59). Brunton cannot be relied upon even for basic history or identity, let alone more abstract subject matter. Some readers have been confused by his reference to Babajan's "one-roomed house" in 1913; that shelter did not appear until over ten years later in Char Bawdi (Brunton saw this shelter in 1930, and assumed that it must have been there much earlier). 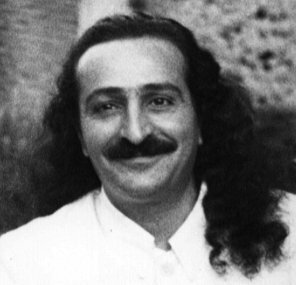 According to Brunton's later secretary Louis Agostini, who was trying to make sense of Brunton's narrative, the occultist declined to become an emissary for Meher Baba because he first wanted a "yogic experience of consciousness which would reveal life's secrets to him, and he also wanted Meher Baba to perform a series of miracles which would convince the West." This reconstruction might converge with the version of Purdom, but does not explain the sequel at the Saidapet ashram. Brunton did not decline any prospect at all; he was much too keen about a new inter-religious "spiritual academy" that was in the offing, not to mention Meher League. According to this deceptive occultist, Meher Baba told him: "Stay with me and I shall confer great powers on you" (Secret India, p. 61). This does not fit what is known of Meher Baba's tactics in a variety of situations, and may represent what Brunton most hoped for. The "Parsee messiah" (or Irani innovator) despatched the British occultist after three days, telling him to come back at a later date to an affiliated ashram at Nasik. Meanwhile, Brunton was instructed by Meher Baba to visit Hazrat Babajan in Poona, and also to visit other places. The subsequent tour lasted for two months, being under the direction of Meher Baba. Brunton met Indian devotees of Meher Baba at Panchgani, Bijapur, Bangalore, Madras, and Calcutta. These people assisted his journey, and were benevolent. Brunton violated the situation by giving a different impression in Secret India, omitting the real context of his itinerary and also some key events. The deceit was prodigious. He gave the impression that he was travelling on his own to seek out Yogis and other holy men, thus creating the myth of "a search in Secret India." He actually travelled with Meher Baba's brother Jal Irani and a Western Buddhist monk who surfaces in other reports. Loss of context has been furthered in an academic thesis ignoring relevant data. A typical misrepresentation by Brunton partisans, misled by Secret India, blithely relegates Meher Baba to a fleeting reference in relation to Nasik (Cahn Fung 2004, PDF pp. 36-7). This is one way of burying unwanted evidence, but is not viewed as exemplary by those conversant with the realistic data. The significance of the Nasik sojourn is that Brunton did not receive spiritual enlightenment in the week or so at his disposal. There was no enlightenment and no occultism. No miracles and no praise. Meher Baba may even have known what to do with an occultist whose expectations were unrealistic. Brunton's refrain in Secret India is: "I wait for the wonderful experiences he has promised me, though I never expect them to arrive. My expectations are completely fulfilled!" (Secret India, p. 257). The crunch is that the visitor's expectations were not fulfilled, a fact which he could not come to terms with. An underlying rebuff is discernible. The rebuffed occultist resorted to a colonialist interpretation: "The story of Meher Baba is a typical story of Indian credulity and provides a handy illustration of the strength of this defect in Indian character. India suffers from the defects of an illiterate and over-religious race, untrained in those scientific modes of thought which demand the divorce of emotion from reason, history from hearsay, and fact from imagination" (Secret India, pp. 260-1). The deception was substantial. The jeering occultist was now a representative of science and history, of reason and unsullied fact. The "illiterate and over-religious" Indians were here inferior to the European culture, and also to the occultist bohemians of Britain, who included Brunton (and the sadistic bisexual heroin addict Aleister Crowley). Paul Brunton transferred to a more amenable location. Secret India elevates Ramana Maharshi, the Tamil mystic whose version of Advaita became famous as a consequence. "There are many interpretations of Ramana's teaching, and of the nature of Ramana's enlightenment" (Friesen, Jivanmukta PDF, p. 2). Brunton's version of this Hindu sage was very influential, but has also been viewed as tending to distortion. Ramana was certainly resistant to siddhis (powers), deeming these a distraction; he affirmed that "siddhis are not natural, and not worth striving for, and the would-be occultist seeks to acquire them so that others may appreciate him" (Friesen, Brunton and Ramana Pt 2). This orientation did not alter Brunton's tendency to esteem "secret" powers such as telepathy. "I seize the opportunity to plague him [Ramana] with further questions, which he patiently answers in terse epigrammatic phrases" (Secret India, p. 280). Never a moment's peace with the onset of journalism in an occultist mode. Yet Brunton was now getting an attention which he did not receive at the Nasik ashram. Ramana even visited the British sahib at his hut. The professed sceptic unguardedly refers to "a spreading ripple of telepathic radiation" (ibid.). He had already referred to "the telepathic current which plays between us" (Secret India, p. 162). The enthusiast of telepathy produced further books for a commercial audience, including A Search in Secret Egypt (1936). This is no longer considered an explorer classic, despite the alluring recourse of "hearing the saga of Atlantis from ethereal presences inside the Great Pyramid" (Shepherd 1988, p. 170). Brunton was definitely an occultist, whatever degree of Yoga and Vedanta he assimilated. Despite the popular acclaim achieved by Secret India, something went seriously wrong in relation to Ramana Maharshi (1879-1950). A pronounced rift occurred between Brunton and the Ramanashram. The latter contingent accused Brunton of not sufficiently acknowledging in his books that Ramana Maharshi was the source of his ideas. Indeed, Major A. W. Chadwick (1890-1962) later stated that Brunton, "undoubtedly wrote a lot of rubbish afterwards and was a plagiarist of the first water" (Chadwick 1961, p. 12). Major Chadwick was a prominent disciple of Ramana from 1935; he notably renounced the world to become an ascetic, becoming known as Sadhu Arunachala. He translated into English the works of Ramana. Ironically, Chadwick was initially inspired in his Vedantic affiliation by Brunton's influential Secret India. Nearly thirty years later, Chadwick referred to Brunton's "quarrels with the Ashram and some of the petty remarks about his Guru [Ramana] found in his later books" (Chadwick 1961, p. 13). The plagiarist is also noted for a disagreement with Ramana's brother, who was the leading official of the ashram at Tiruvannamalai (meaning Ramanashram). More basically, there was apparently an underlying disagreement with the guru himself, and this is very relevant to gauge. Brunton was banned from Ramanashram early in 1939; the proscribing agent was here the brother of Ramana, who objected to the Western plagiarist taking notes in the ashram hall of what Ramana said to disciples. The original manuscript of Talks with Ramana Maharshi (3 vols, 1935-39) has been shown to contain a record of Brunton being banned; this subject was deleted prior to publication. In 1936, Ramana commented on "disagreeable statements by a man well known to Maharshi." Brunton is not named in this reference, but has been strongly implicated. "If he cares to publish books containing scandals of me, and if he makes money by their sale, it is really good. Such books will sell even more quickly and in larger numbers than the others" (Maharshi, Talks, September 1936, quoted in Friesen, Brunton and Ramana Pt 3, who says, "I am not aware of anyone else who was making money from books about Ramana"). Ramana said that the culprit would be doing him "a very good turn" via criticisms (an implication is that the criticisms would deter visitors - "if because of these reports no one comes to me"). Meher Baba is on record as saying something similar about his distorted profile in Secret India. Followers of the Irani mystic were very upset at the liberties taken by Brunton, but Meher Baba himself remained indifferent to the matter after commenting that Brunton was unintentionally assisting his work; he would not permit his supporters to write anything against Brunton. A convergence of the Meher Baba situation with that of Ramana Maharshi has not generally been recognised to this day. The Ramanashram took nearly ten years to restrain the plagiarist. In contrast, the more vigilant Meher Baba took immediate precautions at Meherabad in 1930. He prohibited Brunton from taking notes, as the latter himself records (Secret India, p. 49). Brunton compensated for this frustration by subsequently producing a substantially unreliable version of his interviews with a man whose appearance he could not accurately describe. Brunton's new variant of pique emerged in The Hidden Teaching Beyond Yoga (1941). The brash title still makes some analysts wince. The author includes a critique of Ramana and his ashram. Brunton refers to threats of physical violence, hate, and malicious lies. He attributed these drawbacks to jealousy of his authorial success. Brunton never again met Ramana, even though he did travel near the latter's ashram at Tiruvannamalai. "I used his name and attainments as a convenient peg upon which to hang an account of what meditation meant to me" (Hidden Teaching, p. 25). According to the plagiarist, Ramana was "primarily a self-absorbed mystic" and not a "teaching sage." This judgment arose on the basis that Brunton had hoped to gain more guidance from Ramana, a prospect that never occurred. The verdict is not worlds removed from the same author's version of Meher Baba. According to a recent commentator, "it seems to me that perhaps he [Brunton] wanted the magical powers or siddhis associated with yoga; Brunton wanted initiation" (Friesen, Brunton and Ramana Pt 3, online article). Siddhis include the power of telepathy and foreseeing the future. Brunton had earlier confused Meher Baba with the "higher mysteries of Yoga," to employ a Bruntonian phrase. He had read about such distractions in the climate of 1920s bohemian London, where Yoga and Buddhism were both fashionable. Brunton claimed that Ramana's "open disdain for life's practical fulfilment in disinterested service of others had led to inevitable consequences of a disappointing kind in his immediate external environment" (Hidden Teaching, p. 16). Brunton had formerly regarded "trances" as evidence of Ramana's enlightenment, but now he criticised trances. He urged that the assumption of total knowledge at Ramanashram in reality amounted to a partial knowledge. The argument continued that active participation in affairs of the world was required, otherwise mystics could live in a state of self-hallucination (this theme closely converges with a teaching of Meher Baba, who insisted that "be in the world but not of the world" was a due requisite for spiritual growth). The British occultist was apparently disconcerted that neither Meher Baba nor Ramana Maharshi conferred initiation, a feature of popular Indian religion. Both of these mystics were also opposed to the practice of taking sannyasa, the vow of formal renunciation. Ramana "obviously endorsed living in the world" (Chadwick 1961, p. 90). In his early years, Ramana (a brahman) resisted persuasion from a sannyasin of the Shankara Order to join this fraternity. Ramana refused the brahmanical initiation into sannyas, which entailed acquisition of the ochre robe (ibid., p. 101). Only once did Major Chadwick see Ramana really angry. This was on the occasion when a popular Vedanta Swami (or sannyasin) visited the nearby town, initiating many people into pranayama (breathing exercises), a Yogic activity which proved dangerous. Some of the initiated persons became insane. These problems were accompanied by an attempt to contradict Ramana's more sober Vedantic teaching. Two of the Swami's disciples visited Ramana, questioned him, and repudiated his answers. Their own vocation was at stake. Ramana eventually had the troublemakers forcibly ejected from his ashram (Chadwick 1961, pp. 65-6). Brunton is noted for stating in Hidden Teaching that "the inner telepathic contact and close spiritual affinity" between himself and Ramana remained unbroken. In contradiction, he was anxious to confirm his independence, emphasising that he had known about meditation and Yoga before he went to Ramanashram. Brunton here discloses that even when he was a teenager, "mystical trance had become a daily occurrence" in his life, meaning that "the abnormal mental phenomena which attend the earlier experience of Yoga was commonplace and familiar" to him (Hidden Teaching, p. 23). This disclosure to some extent fits what is known of Brunton's psychology at the time when he became an admirer of Meher Baba. His subsequent literary pose, in Secret India, of being a sceptic, is extremely misleading. In extension of his controversial argument in Hidden Teaching, Brunton maintained that Ramana's trance rendered the latter unable to control Ramanashram, which was effectively ruled by others. (11) Even the partisan Major Chadwick had misgivings about the fact that caste rules were in operation at the ashram dining room. The elite brahmans were seated on one side, and everybody else was segregated on the other side. Chadwick reported that Ramana himself insisted upon this division. An irony here is that Meher Baba, castigated by Brunton as being so impractical and messianic, actually maintained total control of his ashrams (in the plural), allowing no caste management and no caste rules, which were abolished amongst his Hindu devotees. Meher Baba is not known for trances, and taught that these are inferior (the subject is elsewhere confused by the equation of "trance" with nirvikalpa samadhi). His teaching is still generally misconceived, especially by gullible supporters of Secret India. Paul Brunton assumed the role of an ethical critic. He pointed out that meditation is not sufficient for spiritual development (he may have been copying Meher Baba on this point). Brunton objected that Ramana Maharshi was ethically deficient in taking no due stance about war. According to Brunton, the Advaitin asserted: "The sage who knows the truth that the Self is indestructible will remain unaffected even if five million people are killed in his presence" (quoted in Freisen, Brunton and Ramana Pt 3, online article). Ramana Maharshi is associated with the teaching that the guru can only guide, "for no one could give Self-realisation to another" (Chadwick 1961, p. 13). In contrast, Meher Baba taught that the most advanced type of guru can and does impart "God-realization" to another; however, this comprises an extremely rare occurrence, as the number of such advanced gurus is limited to five. That version of the subject seems impossible to prove. On the other hand, a huge problem with the generalising view of "realisation" is that so many people are believed to be "self-realised" teachers. In this way, persons like Paul Brunton come to be considered as sages. In Brunton's own mind, he was the desired "teaching sage," as the title of his 1941 opus indicates. The "hidden teaching," supposedly so anchored in the everyday world, transpired to require a controversial academic credential, meaning the Ph.D which Brunton assumed during the 1940s. One of the critics was psychiatrist Anthony Storr. The presumed exemplar of "self-realisation" was here described in terms of: "Brunton convinced his followers that many previous lives had endowed him with special wisdom. He stated that both he and Jesus Christ had descended to earth from a realm inhabited by superior beings. He claimed that, at night, he could travel anywhere in his astral body" (Storr 1996, p. 165). He was rewarded with economic assistances from "disciples" that facilitated his international existence as a telepathic celebrity. Problems were involved. According to Storr, Brunton was frightened of insanity, believing that evil forces were "trying to make him lose his mind" (ibid.). During the 1950s, Louis Agostini met Brunton in New York, became friends with him, and thereafter filled the role of secretary to "Dr. Brunton" for about three years. Agostini even cleaned the apartment of his employer. He reports that in a printed circular, there appeared "a curious paragraph in which Paul Brunton referred to himself as 'JR', meaning 'Jupiter Rex' or the king of the Gods, and pointed to himself as an example of a man who has reached the end of a spiritual path" (Agostini 1985). Agostini grasped that discrepancies existed in Brunton's account of Meher Baba. In 1962, he met the Irani mystic in India, and found that Meher Baba was not as Brunton had depicted him. Agostini declared that Brunton had made a serious error in Secret India. The American became a devotee of Meher Baba and parted company with Brunton, who seems to have been shocked by this new development. From another direction, at this same period, came the verdict that Brunton did not possess any familiarity with Sanskrit, despite the impression conveyed in this respect. That conclusion was expressed by an academic who gained a Ph.D in Sanskrit at Harvard, and who was also intimately familiar with Brunton. "The more I learned about India, the more I realised how little P.B. [Paul Brunton] actually knew.... It was all a trick. P.B. knew no Sanskrit, knew no texts, invented things, lied, cheated, and stole, intellectually speaking.... He was just a hodgepodge of misread and misunderstood ideas from an ancient culture he did not know or understand. In this sense he was a phony, a charlatan, a mountebank, an imposter, a quack.... He was totally ignorant of the larger issues of Indian history and culture. He knew nothing of the reality of India. He inhabited a phantom India that existed only in his imagination." (Masson 1993, pp. 160, 162-3). One may conclude that the pseudo-academic Paul Brunton, the supposed king of the gods, is a very unreliable guide to India, however "secret" his version was commercially declared to be. Brunton's American devotees covered up any indication of deviation, and now say that he achieved "full illumination" in the early 1960s. He has even been credited with gaining the state of sahaja, popularised in Hindu religion. Critics say that the Paul Brunton Philosophic Foundation has created a hagiography. (1) Psychiatrist Anthony Storr was very critical of Brunton, and urged that "compensatory phantasies of being important" were involved in the latter's career (Storr 1996, p. 162). Some contributory factors here have been listed as follows: a complex about being only five feet tall, going bald in his twenties, becoming very thin because of his vegetarianism, and a lack of success in his early business ventures. Also implicated is Brunton's belief that he possessed occult and clairvoyant powers, came to earth from another planet, and studied philosophy at the Astral University. These and other details are mentioned in Castro, Critics of Meher Baba. (2) The original findings were set out in my unpublished Life of Meher Baba, at the end of Vol. 1. An adaptation of those findings was employed in Shepherd 1988, pp. 146-176. The adaptation received brief but favourable comment in Parks 2009, p. 223 note 31. (3) Parks 2009, p. 223. The Meher Message was the earliest devotee magazine relating to Meher Baba, operative during 1929-31, and published in India. Brunton's affiliation with Meher Baba apparently commenced in 1929, and possibly in connection with a laudatory article appearing in the Occult Review of that year. 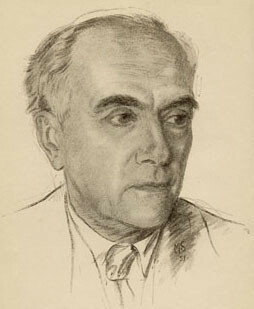 Brunton (Raphael Hurst) was a regular contributor to the Occult Review during the 1920s and 1930s. His tactic of masking such activities in Secret India seems rather bizarre to close analysis. (4) In London, before he visited India, Brunton (alias Raphael Hurst) is known to have written poetry in praise of Meher Baba, and which he was anxious to get into print via the devotional channels. His more explicit contribution The West Needs Meher Baba appeared in the August 1930 issue of The Meher Message. (5) Kalchuri 2005, p. 62; Kalchuri 1989, p. 1346. Some useful information is provided by the late Bhau Kalchuri (1926-2013), a member of the mandali since the 1950s. This edited material is not comprehensive, however. Kalchuri failed to give critical appraisal to Brunton's report of conversations. Meher Baba devotees generally tend to regard Brunton's account as accurate, largely because of Kalchuri; this is a major issue of interpretation. The same writer also gives the misleading date of 1929 for the start of Brunton's travels. The 2005 source states that "Baba had asked him [Brunton] not to come to Meherabad, but he came." Kalchuri says Brunton was exasperated because of Sidhu's language problem, and could not reconcile Meher Baba's "discourse" to him in the nearby Panchvati Cave with the difficulty caused by Sidhu. Brunton was warned in advance that no fresh food except milk was available at Meherabad. This ashram had been a flourishing colony during the 1920s, but Meher Baba closed down this branch of his activity. His disposition to seclusion was complex and pervasive in his life. (6) This was Frederick Fletcher, an early acquaintance of Brunton who had been living in India for several years as a Theravada Buddhist monk or bhikkhu. He was known to Hindus as Swami Prajnananda, and was mistaken by some for a subscriber to Hinduism. I followed this conception in Shepherd 1988, pp. 148ff. 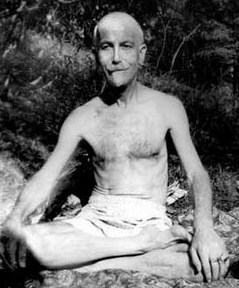 He accompanied Brunton to various places, including the Saidapet ashram, and also introduced him to Ramana Maharshi. See Castro, Critics of Meher Baba, who informs that "Brunton failed to acknowledge Bhikkhu Prajnananda in his book Secret India," instead referring to a "yellow-robed Yogi" he calls Subrahmanya (Secret India, pp. 117-18, 132). This is one more indication of the caution needed in evaluating the evasive Brunton document. The author was covering his tracks in too many respects, as with the lack of dates and omitted events. See also Friesen, Brunton's account of his encounters with Ramana, referring to only part of the Fletcher role in relation to Brunton's first sojourn in India. (7) See "What Meher Baba 'Really' Told Paul Brunton," Glow International, Summer 2012, p. 8. The basic message here is: "Those who imagine that a dead master is responding to their prayers or watching them, are wrong." This explanation asserts that when a "master" dies, he has no further link to the physical world. "Not even a Christ" has any interest after death in physical events. This emphasis is quite contrary to Meher Baba movement beliefs that the avatar is somehow preoccupied with his devotees after his death. This 1930 message stresses the agency of the "living master," who alone is able to answer prayers. Brunton evidently found this theme too sober, preferring to parade his suspect messianic slants as an indictment of Meher Baba. Bhau Kalchuri and others perpetuated the contrivances in a facile imitation; some American devotees seek to suppress any rival interpretation. (8) This lengthy letter is quoted in full in Castro, Critics of Meher Baba (having been made public by the Avatar Meher Baba Trust Archives). It is very revealing, and for instance, recalls: "I wrote two letters to you [Meher Baba] to ask permission to leave out some of the places on our list." This letter makes clear that Brunton's itinerary was planned by Meher Baba. Brunton refers enthusiastically to the public meeting of a hundred people he had attended at the Saidapet ashram in Madras, and informs that the Meher League had gained twelve new members as a result. Brunton adds: "I interested certain people in you and they will visit you [Meher Baba] when you next come to Saidapet." Brunton was clearly concerned to obtain financial support from the more affluent devotees of Meher Baba, and says that it would be easier for him to raise funds for the proposed "spiritual academy" if he was in the West. He also requests permission that he be allowed to come to the Nasik ashram a week earlier than the date formerly arranged, meaning in late January rather than February 1st 1931. Brunton signed off "in humble devotion." This epistle alone is sufficient to contradict the two hostile chapters that Brunton wrote about Meher Baba in Secret India. The complete absence of such vital data decodes to a grave lack of integrity and a hopeless loss in accurate reporting. (9) The longest period that Brunton could have stayed at the Nasik ashram is two weeks, but only if permission was granted for him to arrive early. This matter is not entirely clear; there is no firm date for his arrival. Kalchuri says: "During the first week of February, Paul Brunton came to see Baba in Nasik" (Kalchuri 1989, p. 1358). The same source stipulates February 8th for Brunton's departure. The online version of Lord Meher (expanded by American devotee David Fenster) says "around the 1st of February" (accessed 31/03/2014). Purdom briefly states that Brunton "returned to Nasik and stayed until February 8th, 1931" (Purdom 1937, p. 155). This statement is repeated in Purdom 1964, p. 94. The online version of Lord Meher is not the original Kalchuri text; the additions often carry no due explanation as to source and context. (10) Brunton gives the impression that his Nasik sojourn ran to schedule. He deceptively states: "With the passing of the month I announce my impending departure" (Secret India, p. 257). In my book Meher Baba, an Iranian Liberal, I gave Brunton the benefit of the doubt on this point, as so many readers believed that he told the truth. (11) In his Notebooks, Brunton expresses regret at some of his negative statements about Ramana Maharshi (Friesen, Brunton and Ramana Pt 3, online article). Partisans of Brunton view the multi-volume Notebooks as a testimony to his mature thought. Critics point to the influential mistakes and misrepresentations that he made. (12) These quotes come from the analysis by American devotee Chris Ott. See Meher Baba, Adolf Hitler, and false rumours (2014). Meher Baba made many references to Hitler and the Nazis, and Ott clarifies a number of points, including misconceptions. Some extending considerations are not easy to understand, e.g., Meher Baba "said that he did internal work through his agents in the spiritual hierarchy to bring about change." In relation to Hitler, an audacious form of commentary was expressed by Bhagwan Shree Rajneesh, whose antipathy to Mahatma Gandhi was extreme. (13) According to Dr. Friesen, "Brunton seems to criticise Ramana for a lack of originality." Brunton discovered in an antique Vedantic text the same method of vichara or self-enquiry favoured by Ramana. Friesen adds: "Ramana's disciples have often assumed more originality in Ramana than is warranted by the facts. Ramana relied on many previously written works, including some tantric works" (Friesen, Brunton and Ramana Pt 3, online article). Meher Baba is actually more original in his output, but was not comprehended by Yoga-fixated Paul Brunton, who had no appropriate gauge for the Irani mystic. (14) One of the similarities between Ramana Maharshi and Meher Baba was a resistance to popular Indian ideas of miracles. According to the former, even if a guru "could perform miracles, they were things to be avoided as being impermanent and would only deflect him from the true path" (Chadwick 1961, p. 64). One of the differences was that "Bhagavan [Ramana] never passed judgment on anything, not even on the death penalty" (Chadwick 1961, p. 87). In contrast, Meher Baba was a strong critic of caste practices and untouchability. These two mystics also differed in their view of reincarnation; Ramana credited that humans could reincarnate as animals, whereas Meher Baba denied this fairly general Hindu belief, instead maintaining that humans do not move backwards in the scale of evolution. (15) See Masson 1993. For a contrasting glorification of Brunton, see Hurst 1989, in which the author states: "I firmly believe that my father reached the highest degree of spiritual development possible on this plane" (p. 25). Brunton's son Kenneth Hurst died in 2009. Masson described Hurst's book as "an adoring hagiography" (Masson 1993, p. xi). (16) This detail comes from an online feature representing Bhau Kalchuri of the mandali, and dating to 2010. Also available online is a detailed tape recording of Agostini talking in 1979 about his contact with Meher Baba, and which mentions Brunton more briefly. See also Shepherd 1988, pp. 175-6, and citing a 1972 article on Agostini. Agostini, Louis, "How I was Drawn to Meher Baba," Glow International (Feb. 1985), 14-16. Brunton, Paul, A Search in Secret India (London: Rider 1934; second edn, 1970). ---------A Search in Secret Egypt (London: Rider, 1936). ---------Indian Philosophy and Modern Culture (London: Rider, 1939). ---------The Hidden Teaching Beyond Yoga (London: Rider, 1941). ---------Notebooks Vol. 8: Reflections on my Life and Writings (New York: Larson, 1987). Cahn Fung, Annie, Paul Brunton: A Bridge Between India and the West (Sorbonne 1992, trans. 2004, online PDF). Castro, Stephen J., Critics of Meher Baba: Paul Brunton and Rom Landau (2012, online article). 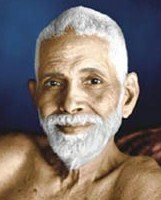 Chadwick, A. W., A Sadhu's Reminiscences of Ramana Maharshi (Tiruvannamalai: Sri Ramanasramam, 1961). Friesen, J. Glenn, Paul Brunton and Ramana Maharshi Part 1 (2005, online article). ---------- Paul Brunton and Ramana Maharshi Part 2 (2005, online article). ---------- Paul Brunton and Ramana Maharshi Part 3 (2005, online article). ---------- Ramana Maharshi: Hindu and non-Hindu Interpretations of a Jivanmukta (2006, online PDF). Hurst, Kenneth Thurston, Paul Brunton: A Personal View (New York: Larson, 1989). Juste, Michael, The White Brother: An Occult Autobiography (London: Rider, 1927). Kalchuri, Bhau, Lord Meher Vol. 4 (Myrtle Beach, SC: Manifestation, 1989). Kalchuri, Bhau, and Stevens, Don E., Mandali Email (London: Companion, 2005). Kumar, Sunthosh, Paul Brunton and Meher Baba (2011, online article). Masson, Jeffrey, My Father's Guru: A Journey Through Spirituality and Disillusion (London: Harper Collins, 1993). Parks, Ward, ed., Meher Baba's Early Messages to the West: The 1932-1935 Western Tours (Myrtle Beach, SC: Sheriar Foundation, 2009). ---------The God-Man: The Life, Journeys, and Work of Meher Baba (London: George Allen and Unwin, 1964). ---------Minds and Sociocultures Vol. One: Zoroastrianism and the Indian Religions (Cambridge: Philosophical Press, 1995). ---------Investigating the Sai Baba Movement (Dorchester: Citizen Initiative, 2005). ---------Meher Baba and Paul Brunton (2012, online article). ---------Hazrat Babajan, a Pathan Sufi of Poona (New Delhi: Sterling, 2014). Storr, Anthony, Feet of Clay: A Study of Gurus (London: Harper Collins, 1996).